»» Download Explzh for free! Explzh ::: a computer program that allows users to work with compressed files. Using Explzh can decompress compressed files in various formats. »» Download TZip for free! TZip ::: a computer program that allows users to work with compressed files. Using TZip can pack and unpack compressed files in various formats. »» Download Quick Alarm for free! Quick Alarm ::: a computer program that allows users to use on the computer an alarm clock. Using Quick Alarm can set as many alarms as you want. »» Download CoffeeZip for free! CoffeeZip ::: a computer program that is used to manage compressed files. Using CoffeeZip can decompress compressed files in various formats. »» Download 1Click Uninstaller for free! 1Click Uninstaller ::: a maintenance program that enables users to improve PC performance. Using 1Click Uninstaller can manage all the applications installed on your computer! »» Download FooPlayer for free! FooPlayer ::: a computer program that allows users to listen to music and watch movies. Using FooPlayer can listen to music and watch movies in the most popular formats. »» Download 1MediaPlayer for free! 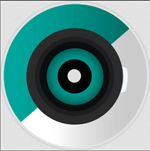 1MediaPlayer ::: a multimedia player, very practical and very attractive. Using 1MediaPlayer can listen to music and watch movies in the most popular formats. 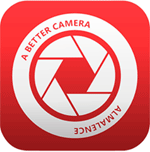 »» Download oCam for free! oCam ::: a computer program that allows users to capture video. Using oCam can record everything that happens on the computer screen. »» Download JoPlayer for free! JoPlayer ::: a computer program that allows users to listen to music and watch movies. Using JoPlayer can listen to music and watch movies in the most popular formats. »» Download Handy Uninstaller for free! Handy Uninstaller ::: a computer program used to uninstall programs and applications. Using Handy Uninstaller can manage all the applications installed on your computer!